Impressions Gallery01274 737843work Art GalleryImpressions Gallery is an independent, not-for-profit space for contemporary photography. With an international reputation, we’re proud to be in Bradford, the worlds first UNESCO City of Film. We continue to support and encourage artists and photographers who challenge and change photography. We believe photography is for everyone. Every year over 50,000 people visit our exhibitions, take part in workshop and events, or come together to exchange ideas in a friendly environment. Be inspired and join in. 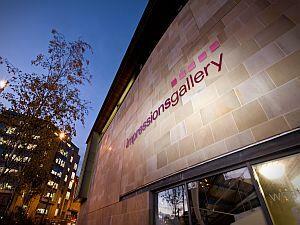 Impressions Gallery is an independent, not-for-profit space for contemporary photography. With an international reputation, we’re proud to be in Bradford, the worlds first UNESCO City of Film. We continue to support and encourage artists and photographers who challenge and change photography.